The first question to ask yourself, how actually we detox? Common answers will be "do exercise, through sweating; do "business", eat more vegetables and fruits and etc.". 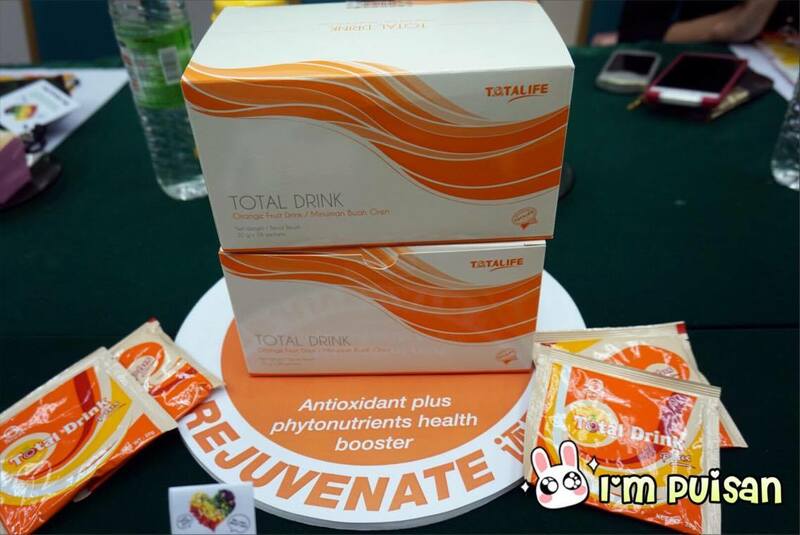 However, a healthy lifestyle begins from having a good digestive system and detoxification. If you fell into any of these categories then continue to read! 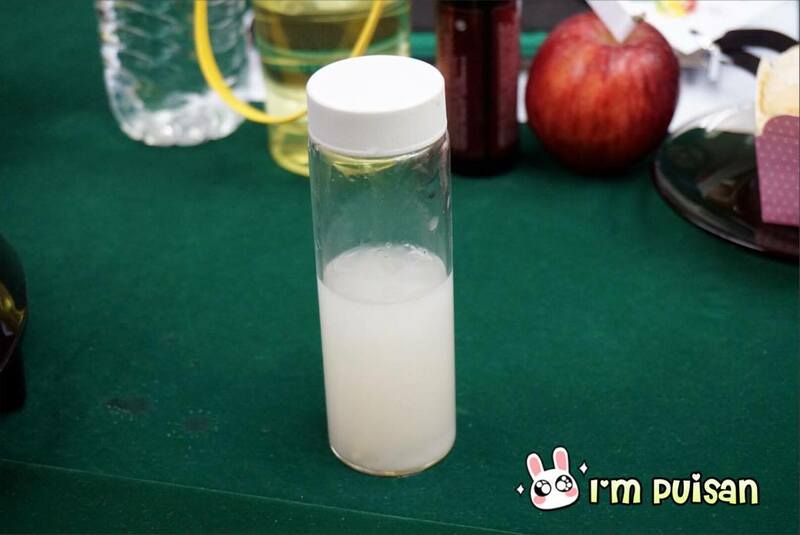 >When our body doesn't have sufficient yeasts, it can cause health problems, one of the reason why nowadays people feel tired after having their lunch or dinner because of insufficient yeasts in our body. >Food that it decompose such as fish, meat, beans, eggs, dairy food, rice, pasta, fiber and lactose. You can add it into a 200 ml water or can just slowly pour it into your mouth until it dissolve. Ideally consume one sachet 5 to 10 minutes before your meal. Ehemm if you ask me how does it taste like, I feel it taste a little bit like cereal and I don't really like to put it on my taste bud and keep it until dissolve, as the smell is a bit strong. 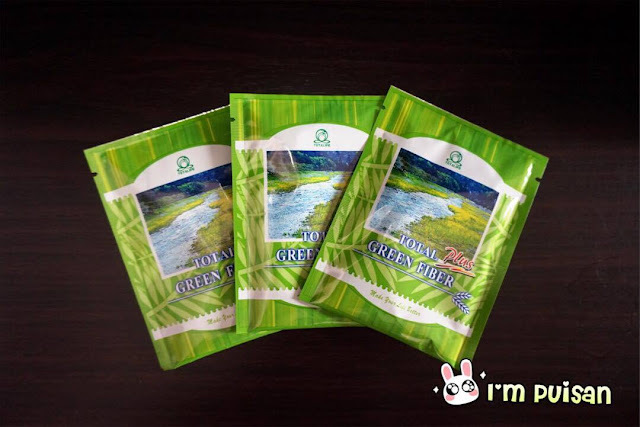 It is more recommended to have water immediately you put it on your taste bud. 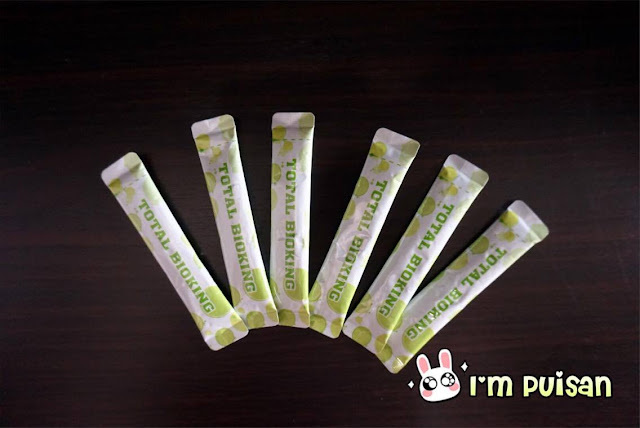 Besides, if you know me I was sick on the past few days, where I have high fever but I still attend classes from 8:45 am until 6:00 pm continuously, before I take my lunch I took one sachet of Total Bio-Enzyme and I don't feel tired and sleepy during my afternoon class even though I'm sick. Corn Starch was mixed with hot water, it will then solidified. 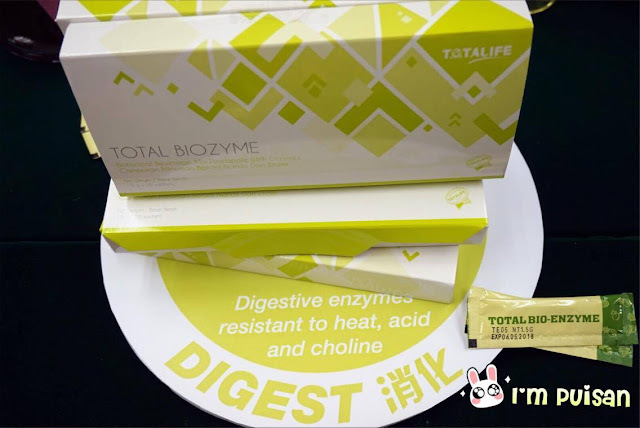 Total Biozyme was added into the solidified cornstarch, slowly mix it like how our digestive system does in disgesting the food. TAA-DAAA! The solidified cornstarch has been diluted! Our digestive system now can easily absorb the food! 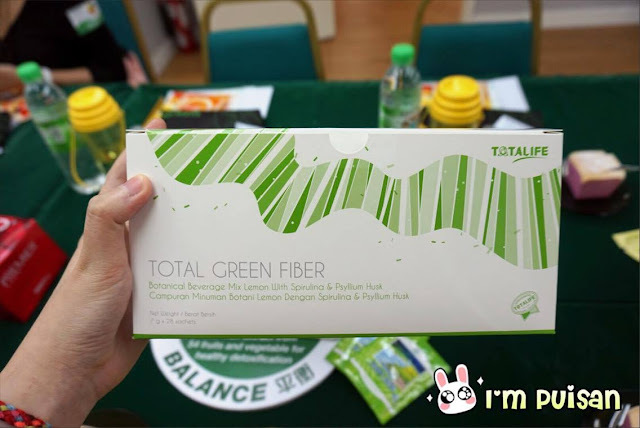 >Besides all these, Total Green Fibre can help our body to ABSORB EXCESS FATS that accumulated in our body! 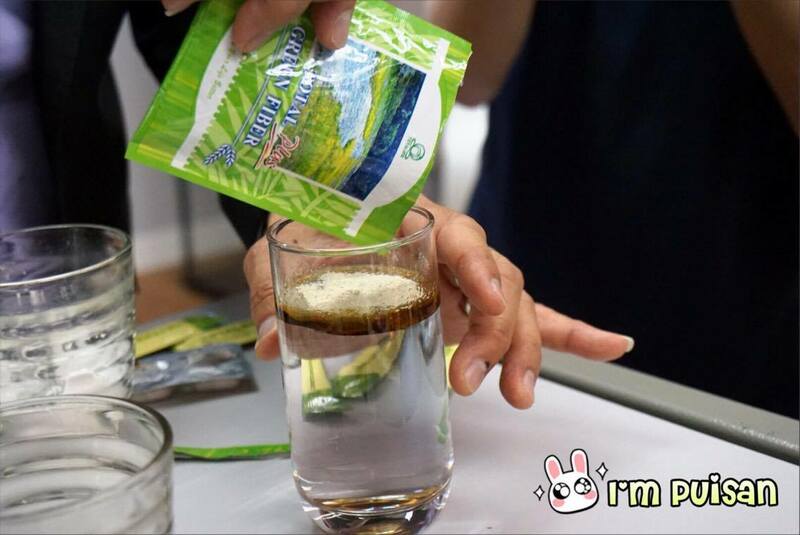 Add each of the sachet into 250 ml of water and shake or stir it vigorously to dissolve. 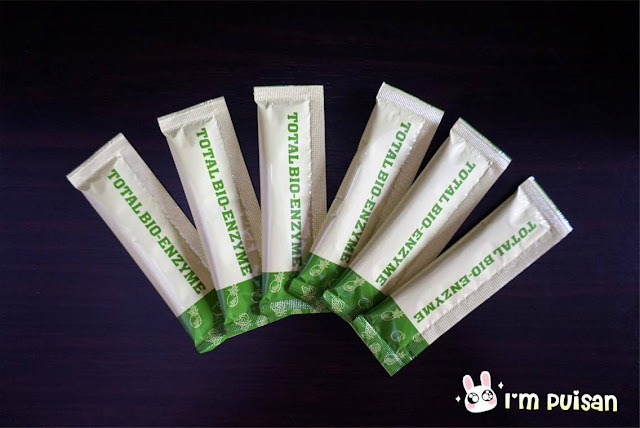 Ideally consume one sachet before your meal. Because it is a little bit big per sachet, therefore, I only take it before dinner when I'm at home. 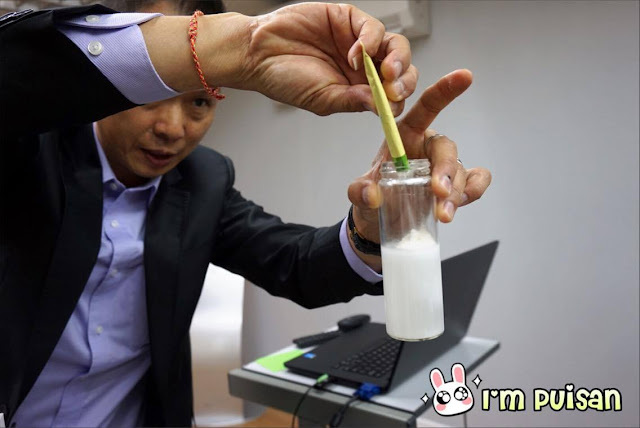 As, I doesn't have any instruments that can measure the amount of fats inside my body, but I believe that if consume it consistently the results will be more obvious. 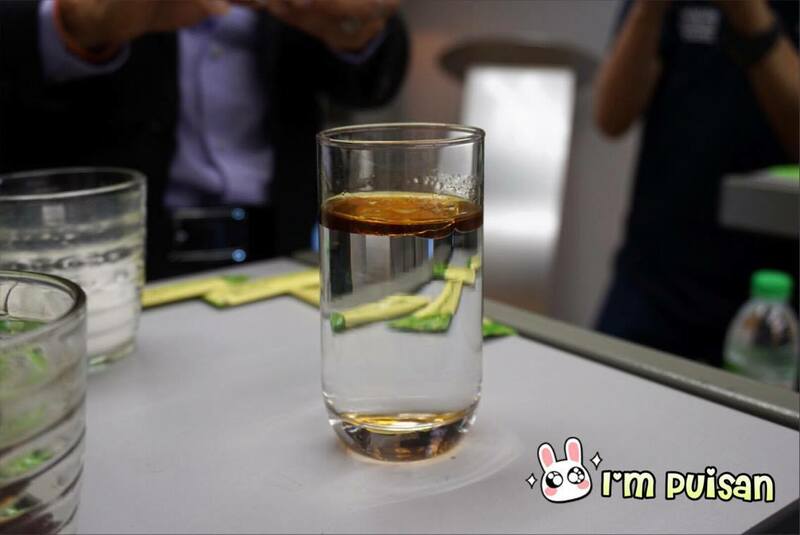 Prepare sesame oil and a glass of water, where the sesame oil will float at the surface of the water due to density. >Total Green Fibre and Fittache will be evenly spread at the surface of the sesame oil. >Patiently wait for the Total Green Fibre and Fitache fully absorbed the sesame oil, and then the results will be!!! YES!!! IT SINKS TO THE BOTTOM!!! 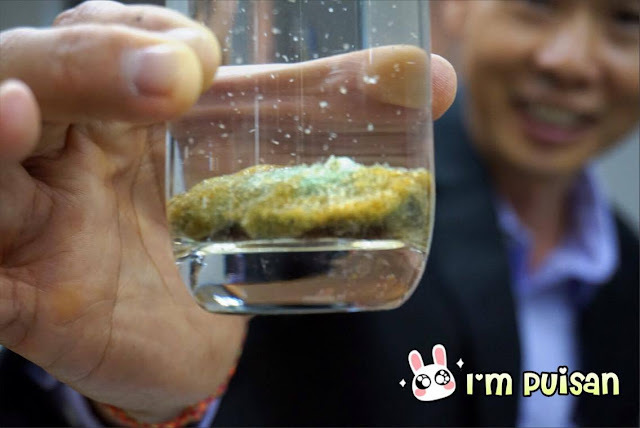 >It shows that the oil particles now can be digested by our digestive system. 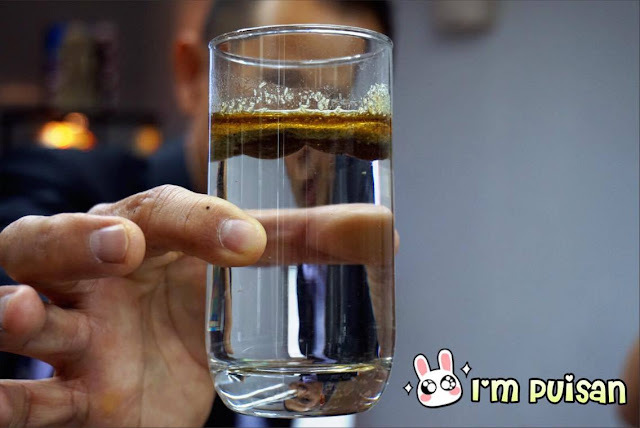 P.s If you want to watch the above experiments again, you may refer to the link I attached below, however, it is only available in Chinese version but no worries you can watch it! >Total Biokind is a patented double-embedding technology to protect the active bacteria in our body which is also known as Probiotic which can enhance our body immune system. 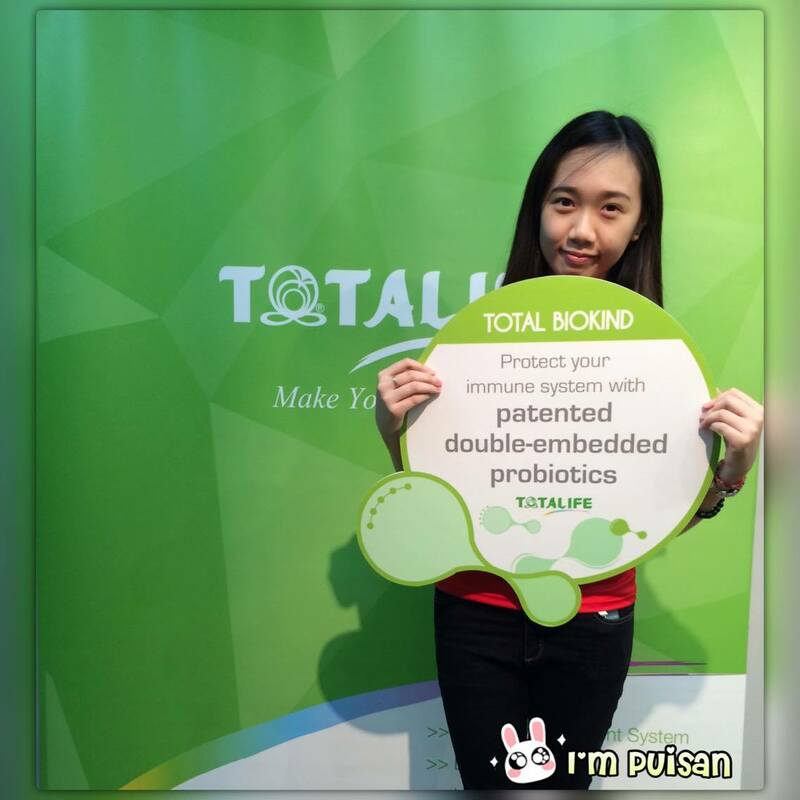 >As we grow older the amounts of active bacteria in our body will be reduce gradually, therefore, we need probiotic supplement to help us. 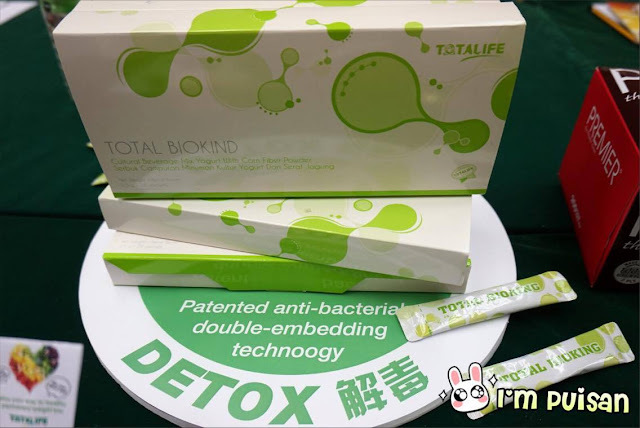 >If you consume Total Biokind with Green Fibre it will help you REDUCE LOWER-PART TUMMY FATS and also prevent us from constipation. 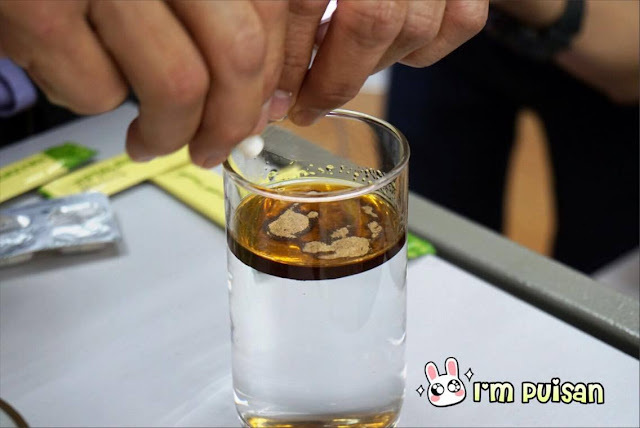 You can consume it with water around 200 ml, or you can gently pour it onto your taste bud and keep it until it fully dissolve. Same for me, first I slowly pour it onto my taste bud and immediately have water after that. 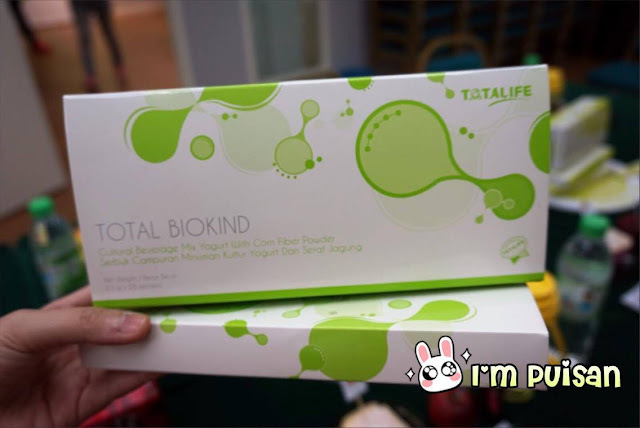 Total Biokind doesn't taste bitter but it taste sweet! 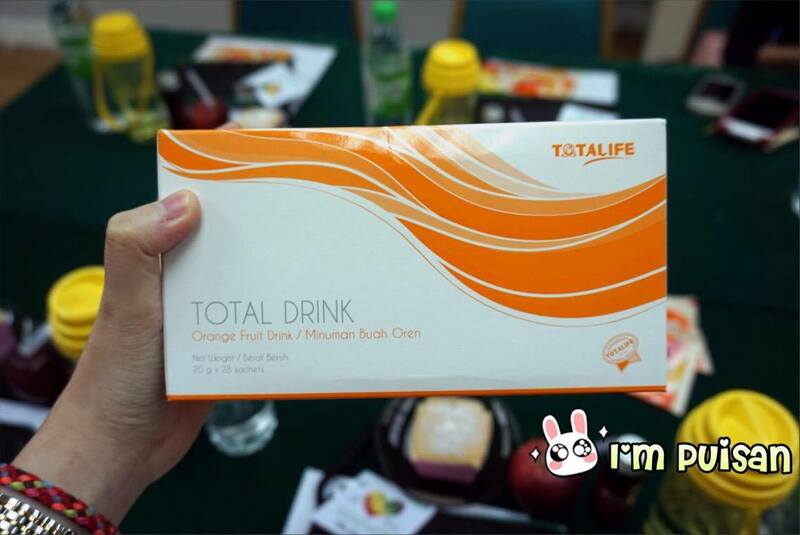 >Total Drink doesn't consist any preservatives, artificial coloring or flavoring it is made from oranges! 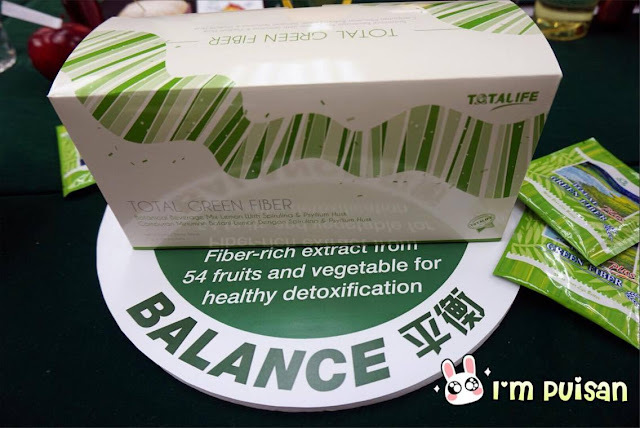 >Therefore, it is really rich in antioxidants such as Vitamin C, B and E.
>One sachet of Total Drink has included the consumption of one kiwi, carrot, red apple, orange and also spinach! Do you really take each of these one per day? But Total Drink provides you in just one sachet! ALL-IN-ONE! >It can help to strengthens our memory, detoxifies our liver and purifies toxins and cleanses blood vessels! You just need to add the content of each of the sachet into a 200 ml water, shake or stir it vigorously until it is evenly dissolve! Then you can consume! 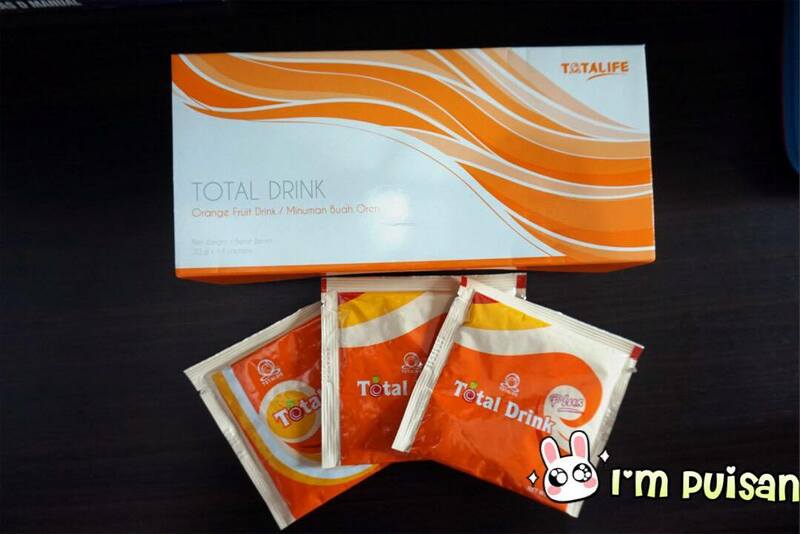 I personally really like Total Drink, I consume it in the morning together with my breakfast, because it taste just like a real orange fruit juice! 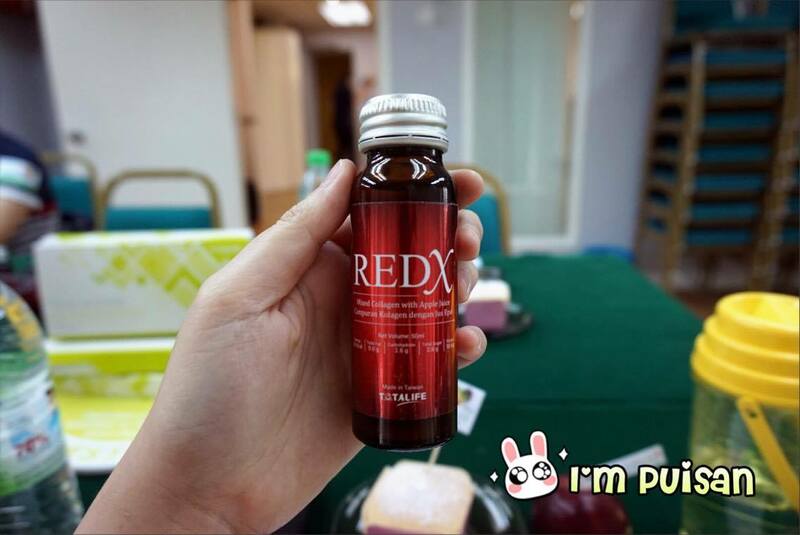 >RedX can reverse your skin aging when you take a bottle everyday, because each bottle contains 10,000 mg French fish collagen peptides. Open the cap and take! 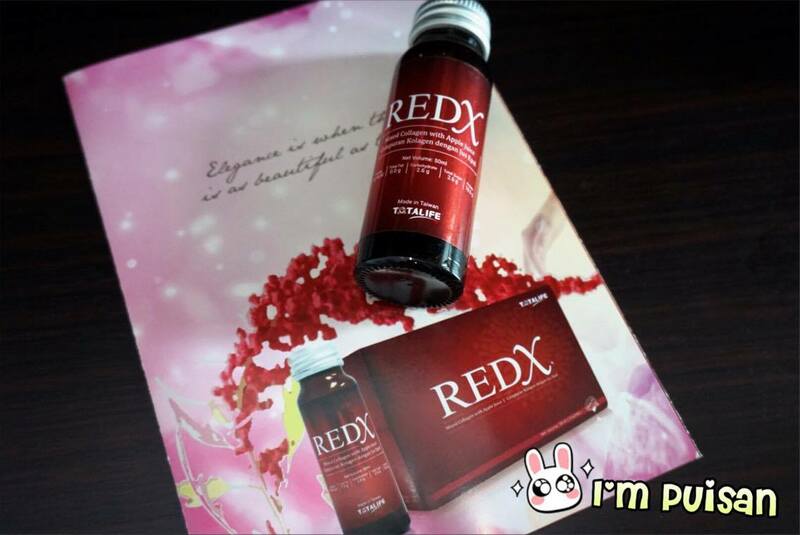 This product is not officially launched yet, perhaps will give a review on these, if I'm able to try. 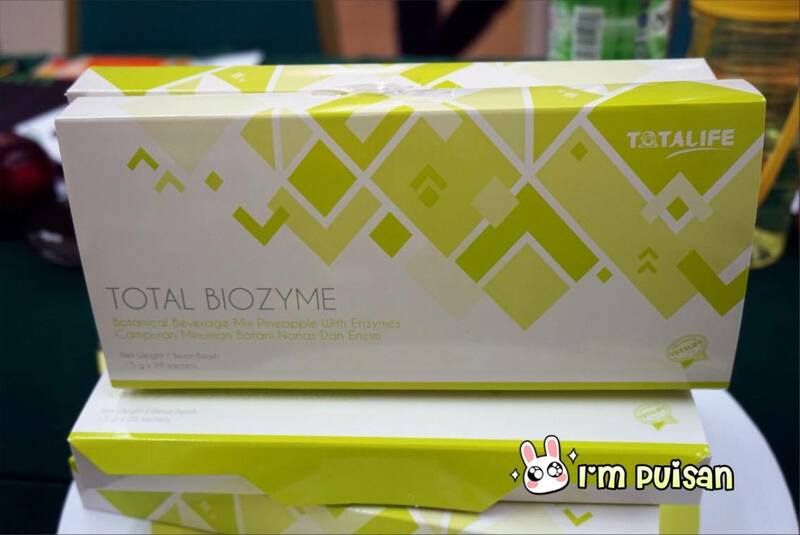 Anyway, I've tried one bottle and IT REALLY DOESN'T HAVE FISHY SMELL, which some collagen did! For me it is a highly concentrated apple juice! Taste GOOD! I hope you find this post is useful and really beneficial for you, if you are looking for proper ways and products to help you to detox! 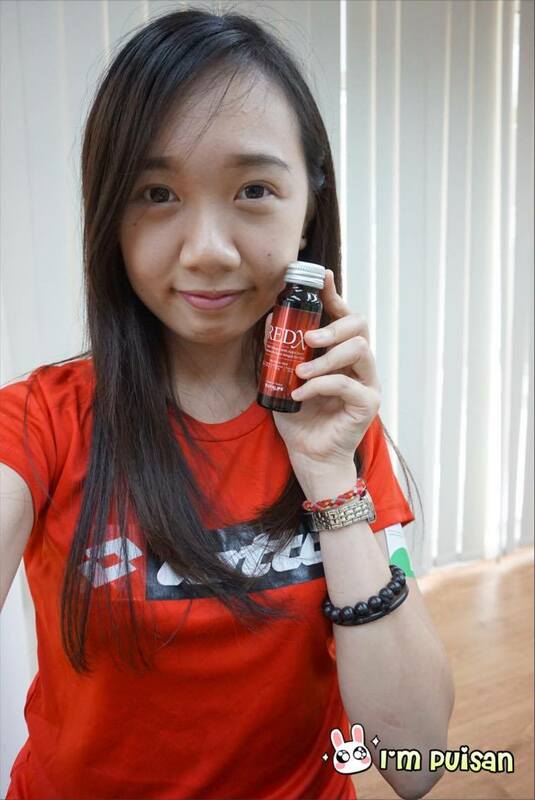 Do you feel excited of the products and wanted to try!! YES!! YOU CAN NOW TRY FOR FREE!! 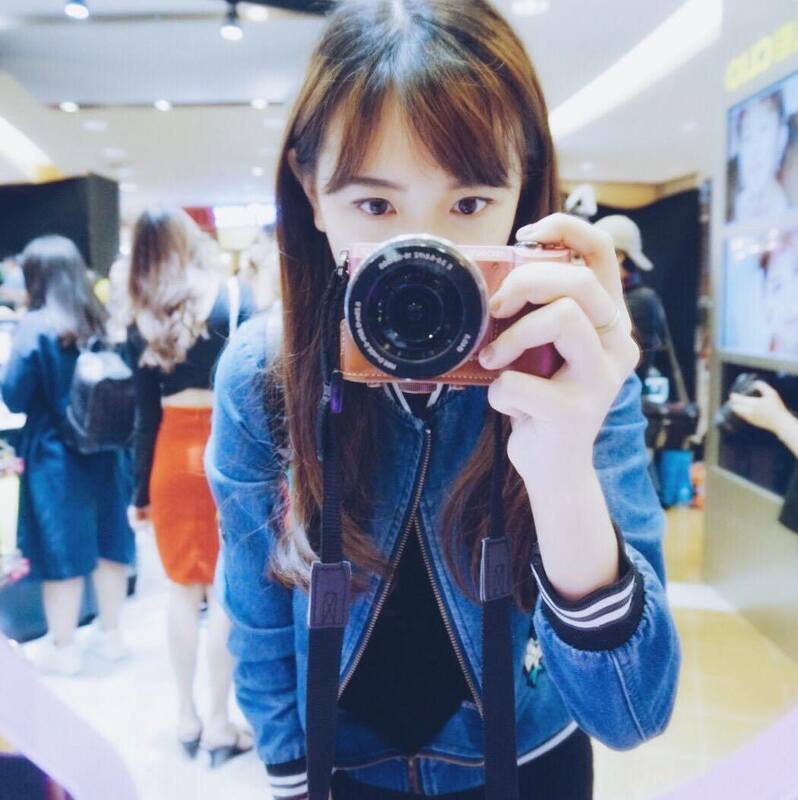 click on here to my following blogpost! FREEBIES for my lucky readers and followers!!!! Give me some feedback so that I can improve myself!